Here is the article in the Times today, good to see that construction will be starting soon! Another large multilevel apartment building is planned for Scott’s Addition. Developers expect to start construction in late November or early December on The Nest, a five-story building with 118 units on West Marshall Street between Summit and Highpoint avenues. 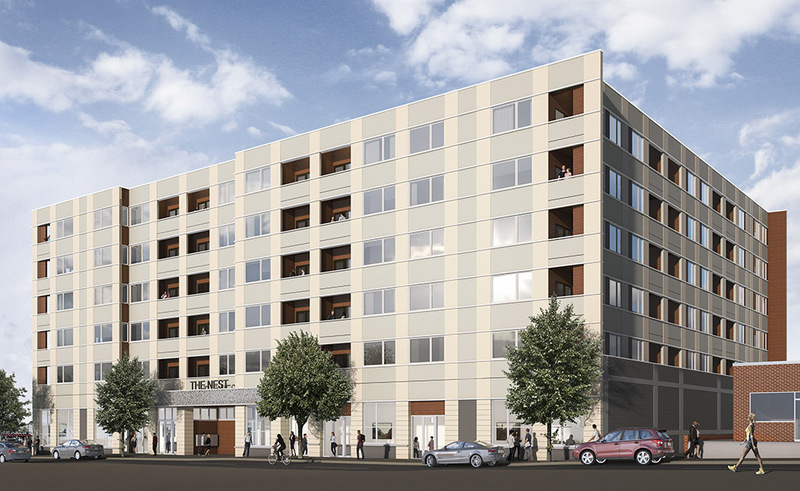 The apartments would be built on top of two levels of a parking deck — one level would be partially below ground. It also would have some commercial space on the first floor as well as a swimming pool and fitness room. The project is being developed by Geoff Shudtz, director of acquisition and asset management at Richmond-based Dodson Development Partners, and Tom Papa, co-founder and principal of Richmond-based Fountainhead Development, a big residential and commercial development player in downtown Richmond and in Manchester. Shudtz, Papa, Dodson Development and other investors created Summit Apt Developers LLC to buy the property at 3117 W. Marshall St. from Summit Suites LLC.